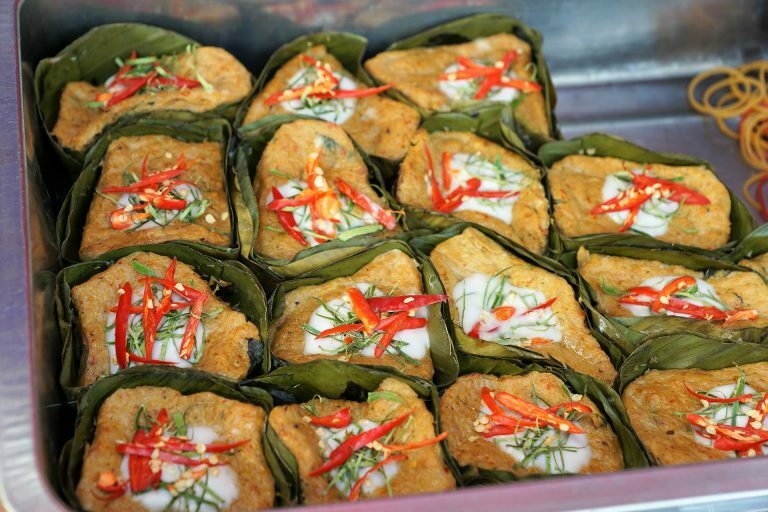 Amok is a national dish of Cambodia. 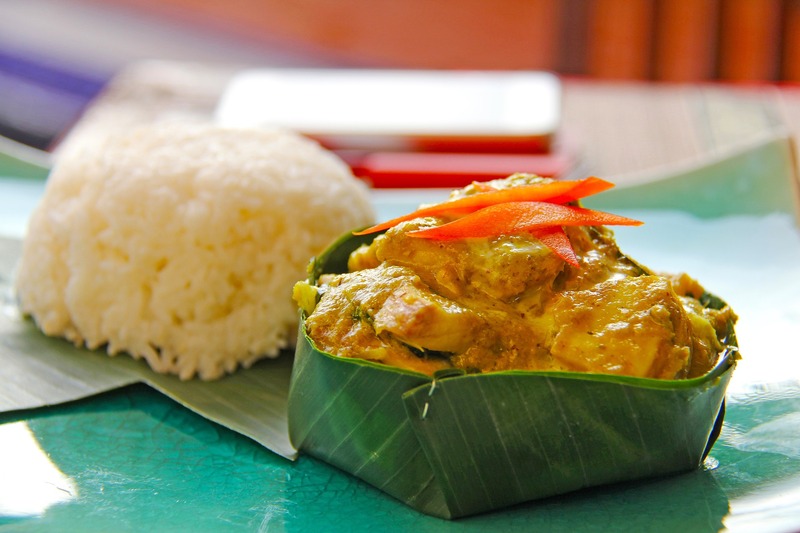 The most common version is Amok Trey with fish in a fresh coconut sauce seasoned with lemongrass, galangal, and makrut limes. Typical vegetables are local green Nhor leaves which are slightly bitter. You can make this dish with your favorite protein and vegetables. You can even add some fresh pineapples. beef, or more vegetables. See additional tips online. green asparagus, bell pepper, and/or napa cabbage. In a PAN, heat 1 tbsp oil over medium heat. Fry onions with a pinch of salt until they turn translucent. Add 1 cup of coconut cream and Amok Spices. Mix well. Add fish and salt to taste. Mix well. Add leaves and remaining coconut cream. Cook for about 2-5 minutes until the fish is cooked. Optionally, stir in lemon juice, tamari or fish sauce, and/ or fresh chilies.